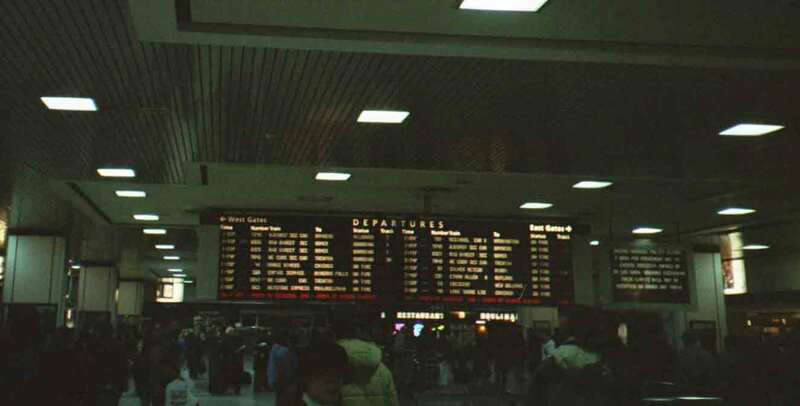 The departure board in Penn Station. This would turn out to be one of the only times I would see the words "on time" next to one of my trains! I arrived at Penn station with about 90 minutes to spare. I have been to PS many times but this was my first time going to the Amtrak portion and I must admit I got a bit lost. I entered on the wrong side and it took a while to finally find the ticket counter. I had hoped to avoid having to visit the counter but because the Zephyr was cancelled I had to make changes to my itinerary. I hammered these out a few nights earlier with a phone agent for about 20 minutes. I was told I was all set and would just have to exchange the tickets. Of course it wasn't this easy. It ended up taking 3 agents and about 20 minutes before they finally just reissued my entire trip instead of the one segment that was changed. I then entered the waiting room. The train boarded and left on time. I was quite pleased with the train initially and a bit surprised with how much space I had! Even better, the train was pretty empty. When we left Penn I did not have a seat mate. 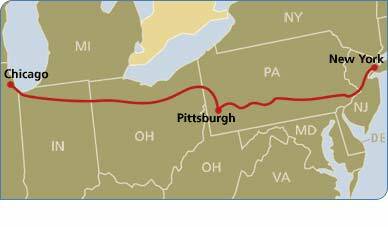 In fact the only time I had a seat mate was going from Philadelphia to Lancaster (the train was packed for this run; I wonder what these folks will do when the route closes). The train itself seemed older than the other trains I would eventually end up using. There was a lot of space between cars where you could "hang out" if you wanted to. This eventually became a necessity. For what ever reason as the trip progressed the car I was in became hotter an hotter. To the point where I felt like I was in a sauna. By this point i was down to just my undershirt. Eventually the heat was finally turned down, but of course by down I mean off. So the night was rather uncomfortable, though I did get a few hours of sleep and was able to stretch out across the seats for most of the trip. I did notice in the bathrooms on this train a notice not to flush when the train is stopped as people are working underneath it. This was the only train I saw it on, and have been wondering ever since if its because it "flushes" directly to the tracks? Unfortunately, none of my pictures came out for this portion of the trip, with the exception of the one up above. It's ok though, as this wasn't a very scenic or important component of my journey!